Music is a unique form of communication. It brings children together. Music is an important part of our culture. Therefore, at Holden Clough our aim is to nurture a love of music in a variety of forms. 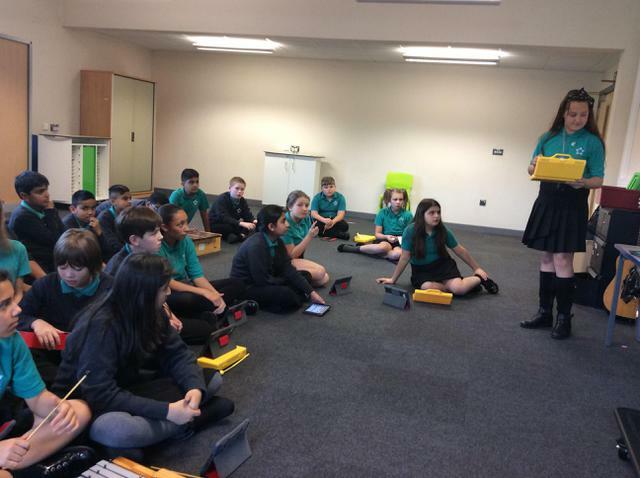 From singing, to playing an instrument, to an appreciation of music and composers. Music encourages active involvement. It helps to develop creativity, cooperation and self esteem. And most importantly... MUSIC IS FUN! These wonderful little instruments are a great starting point for anyone aspiring to progress onto woodwind instruments such as the Recorder, Flute or Clarinet. Year 2 have started things off by learning the note basics of this instrument and will progress onto rhythms and then hopefully have a class song to perform during assembly on the Ocarinas. 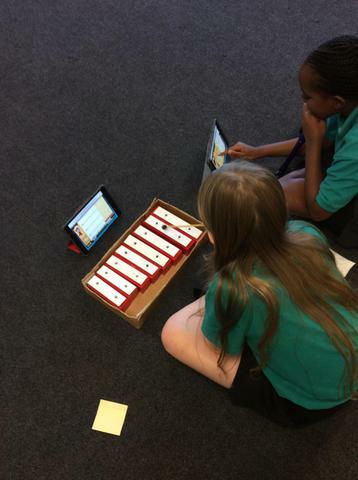 Years 3-6 have started a whole new, interactive way of learning music with Charanga. 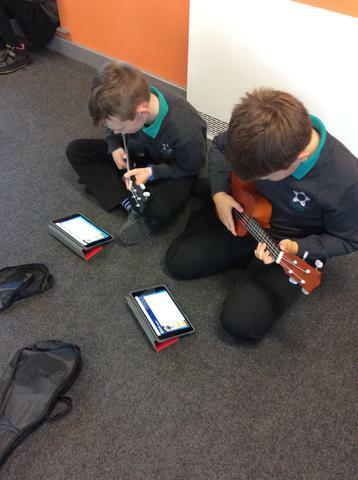 They have been mastering their chosen instrument (Recorder, Ukulele, Glockenspiel or Percussion) using the fun resources available in Music World which allow them to collect points and badges upon completion on units. 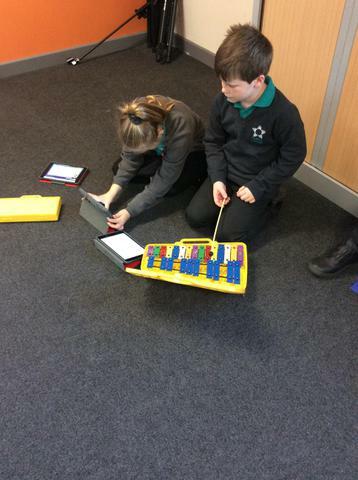 They have been learning to improvise and compose on their instrument and they can also access this resource from home and get ahead of the class if they so wish! 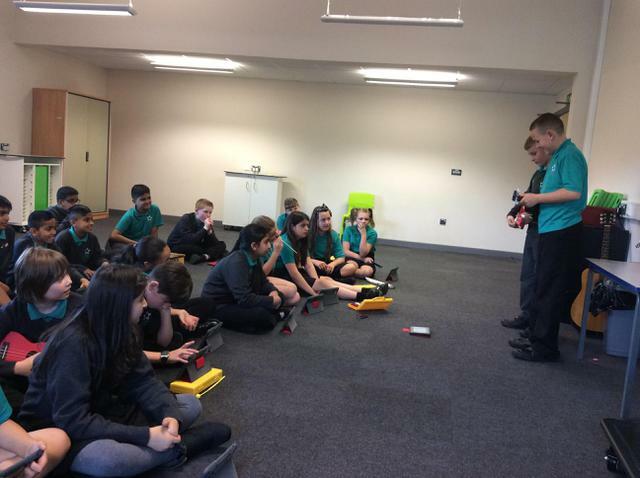 They have been learning songs from this resource too, which include classic rock and pop songs, and allowing them to listen and appraise different musical genres such as musical theatre, RnB and soul. Every Wednesday morning, years 1-6 have a singing assembly with Miss Richards - where they learn fun and exciting new songs to perform at school events. Recently they have been working on the new Sing-Up material and a bit of Bob Marley! 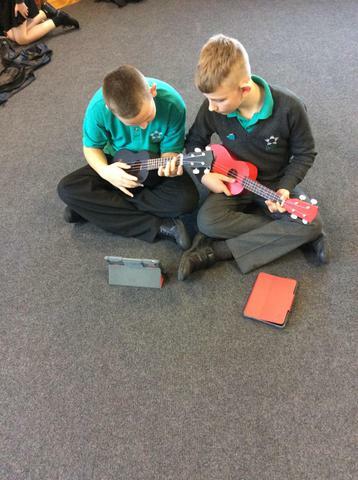 Sometimes, Miss Richards will invite people from the music industry to perform during and assembly and engage the pupils in a real live musical experience. 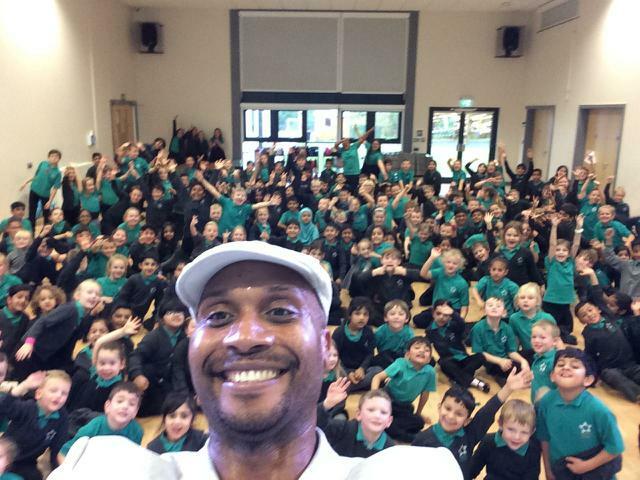 See below for the most recent visit from "Challan Carmichael" an upcoming RnB singer and dancer. 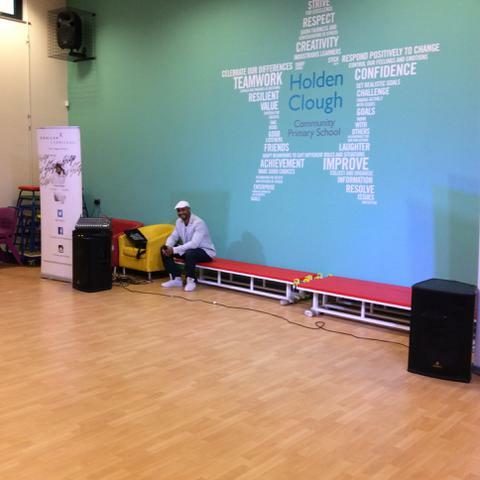 Our pupils fully got involved in the performance of his new single "Step By Step"
After school until 4pm, Miss Richards runs a choir for those pupils who just love to sing! 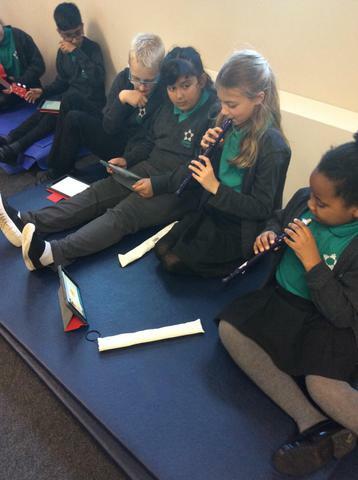 During choir, the pupils learn new and exciting songs, songs from the charts and well known oldies in preparation for future performances and assemblies in front of the whole school.